This post is brought to you by CJ Affiliate’s VIP Content Service. While this was a sponsored opportunity from Sonos, as a long time user of the system all opinions are my own. You already know how much I love making our home just right for us and of course there’s a lot that goes into the way it looks and feels but a huge part of how good it feels is the fact that there’s almost always music playing in every part of the house. 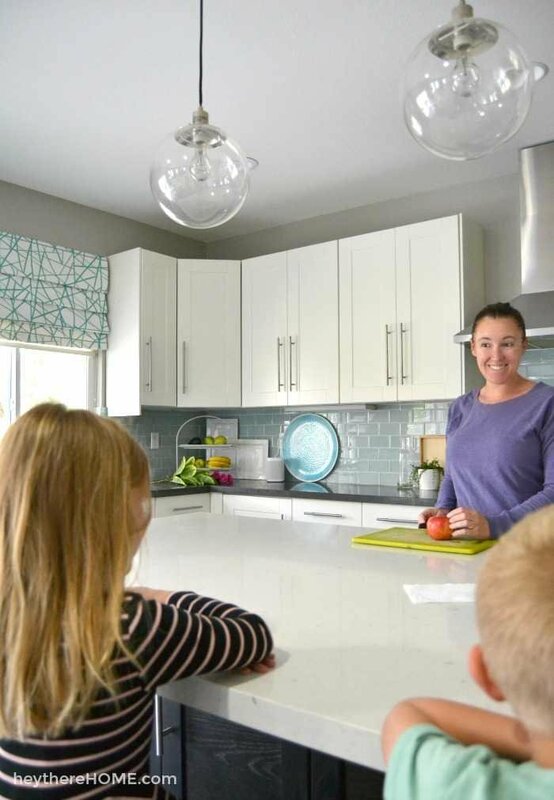 Kid’s Bop playing in the family room while the kids play, Justin Bieber Radio playing in the garage while I’m working on a project, or 80’s love songs playing in the kitchen while I sip my wine and cook dinner. Different playlists playing in different rooms or synced to play the same music from one room to the next is so easy with our Sonos sound system and we’ve been loving the amazing sound quality and how easy it is to control from our phones for over 3 years now but with Sonos’ new smart speaker things just got even more amazing! We just got our hands on the Sonos One with Amazon Alexa built in which allows us to do everything from request specific songs (or entire albums) to stream music to access our personal music libraries. So now we don’t even need to get out our phones to get our favorite music playing, request a song, or change up the volume! We just ask our personal assistant, aka Alexa, to get it started and let the dance party begin! And since “she” integrates with our other Sonos speakers (the Play:1 and the Play:3) we can just tell her which rooms to play the music on and they all link together seamlessly! It’s soooo good. No more walking around looking for my phone to get the music going. But there’s more to it than just demanding good music. We decided to keep the Sonos One in the kitchen because I can’t tell you how many times I’m in the middle of making dinner having just used up one of my staple ingredients and by the time I have clean enough hands to jot it down on my list, I’ve completely forgotten. But now I just say “hey Alexa, can you add a gallon of milk to my Amazon fresh cart?” And she does. So I’ve literally got a running grocery list of things I need waiting for me in my cart! Or how ‘bout the daily question from my 7 year old that I can now pass off to Alexa? 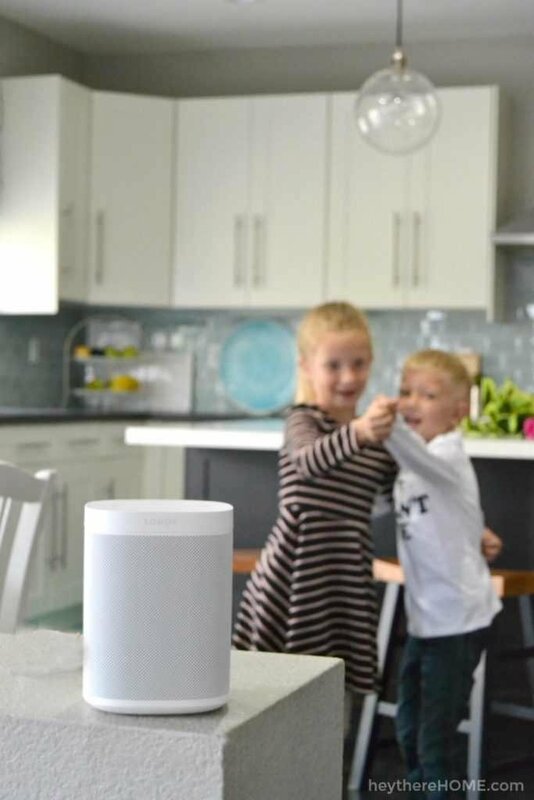 The “what’s the weather going to be?” question is one that she can now ask Alexa when she’s done with breakfast and headed up to get dressed for school. Again, no more searching around for my phone to open my weather app! It’s quickly becoming my favorite helper and being set up in the kitchen where all the action around here happens I’m sure I’ll continue to find new and fun ways for it to organize the chaos that tends to creep in, especially since they’ve got plans to have even more capabilities in the future like Google Assistant that’s set to be added next year. Each new feature will be added by a simple and quick update to the app. No more having different gadgets for different assistants. With Sonos you’ll be able to use all of them. As music people we definitely fell in love with our Sonos speakers because of how good they sound and how easy it is to move speakers around the house or even into the backyard when we have friends over, but this new addition of voice makes it even more perfect. Getting your Sonos sound system set up is super simple. 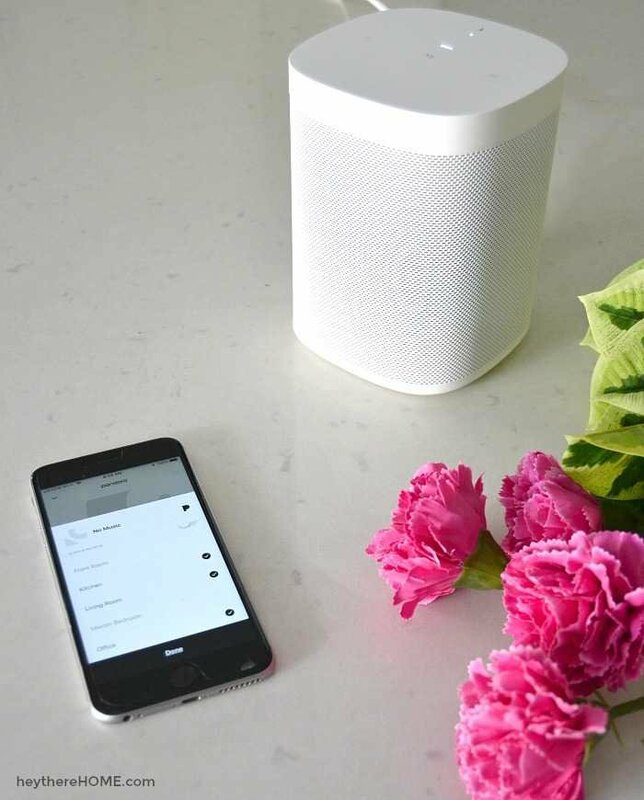 Just get the Sonos app as well as the Alexa app on your device, login to your favorite music streaming accounts, name your speakers, and tell it to play the playlist of your choice. 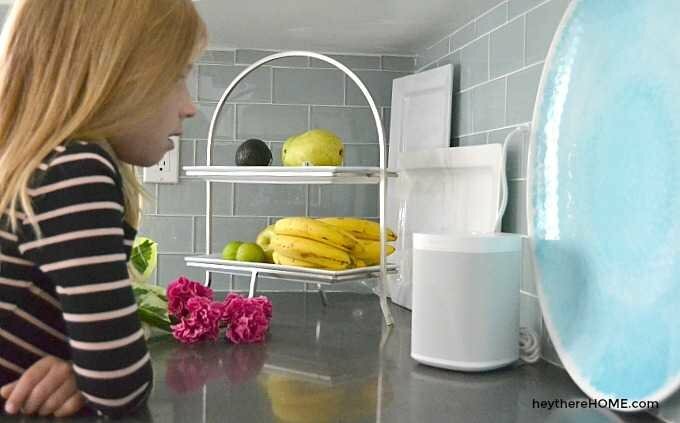 Sonos One also connects other smart home devices like your temperature control and rest assured she’s only listening when the light on top is illuminated – a concern I’m sure that’s crossed your mind. Nice Post. Thanks for Sharing this informative Blog.